Wrinkle MD Eye Hyaluronic Acid Deep Infusion System Review 2018: Ingredients, Side Effects, Detailed Review And More. It fades the appearance of wrinkles, including crow’s feet, around the delicate eye area. Replenish your skin’s hydration back to its ideal levels. Improve your skin’s moisture content. Promote a dewier and more radiant complexion. Wrinkle MD – Does it Really Work? 5 pairs of eye patches that soak your skin in significant amounts of hyaluronic acid to replenish lost hydration. One 1 oz. bottle of Youth Serum Hyaluronic Acid which soaks your skin in even more hyaluronic acid. Sodium Hyaluronate: This is a low molecular weight hyaluronic acid which is capable of delivering the moisture-enhancing properties of hyaluronic acid deeply into your skin. Syn-ake: This is a proprietary ingredient that consists of peptides that act on muscles around your eye area, causing this to relax which, in turn, stretches the skin on top of it. Xylitol: It further boosts your skin’s hydration levels, and enhances the quality of your skin’s protective barrier. Oat Extract: It has natural anti-inflammatory properties that soothe and calm chronically irritated skin which, in turn, relieves blotchiness and redness and other signs of skin irritations. Ceramides: These components help your skin in rebuilding your skin’s protective barrier function which then also keeps your skin well moisturized by minimizing surface water loss. Always start with a freshly cleansed skin and with eye skin that has been thoroughly cleared of impurities. Pat dry then tone. Apply the eye patches and turn on the Activator Pods. Leave on for 30 minutes before removing. Patches are disposable. Apply the Youth Serum. Use twice weekly for first time use and once every week after that. This system provides an innovative, different kind of solution to address wrinkles around your eye area. It is easy to use and does not require painful injections or surgery. There is no downtime so you can keep doing what you’re doing. The formula is made with some of the ingredients that are proven to help improve the appearance of wrinkles, most especially hyaluronic acid and peptides. This product is on the higher end of the usual price range for solutions specially intended for wrinkles around the eye area, and comes with only 5 sets of pads which, based on recommended usage, will last you for a month only. There are many synthetic ingredients in the formula that are likely to cause irritations, depending on your skin type. This product may not be available everywhere. Does Wrinkle MD Have Any Side-Effects? The manufacturer does not disclose any potential side effect. Although there are ingredients in the system that may hurt your skin, such as triethanolamine. Some may have negative implications to your health such as phenoxyethanol, a neurotoxin, and PEGs which have been linked to cancer. Wrinkle MD provides an innovative approach to resolving wrinkles around your eye area. However, the price is steep and you need to carry out more research to really weigh in on the benefits of this wrinkle repair system. Other than that, you can always check out other tried and tested solutions for smoothening out wrinkles on the delicate eye area. What is the Price of Wrinkle MD? 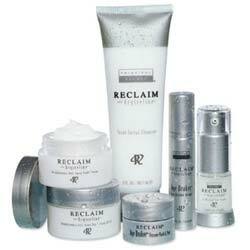 This wrinkle repairing system cost $199, and will need monthly replacement that will approximately cost $150. 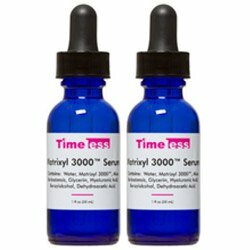 Where to buy Wrinkle MD? Wrinkle MD may be bought from the official product website or from major reseller sites. Does the Wrinkle MD come with money back guarantee? There is no mention of such coverage anywhere. Is Wrinkle MD approved by the FDA? Products like this are not required to seek FDA review and approval. Who Should Use Wrinkle MD? 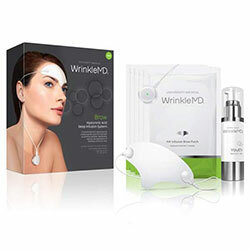 This wrinkle repair system is for men and women who have wrinkle issues around the eye area. Should I use the Wrinkle MD once or twice daily? This product is not for daily use. See how to apply instructions above for details. How long does (one bottle) of Wrinkle MD last? The initial kit will last you for a month. How long will results last? Results may be immediate but effect will not last for long. Can I use the Wrinkle MD with makeup? 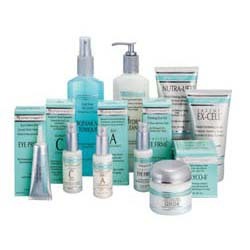 Yes, treat your skin with this system first before putting on makeup.